Group 3. Recruiting....are you interested in representing Group 3 on this Committee? Group 5. Recruiting....are you interested in representing Group 5 on this Committee? The second Object of Rotary is: To encourage and foster high ethical standards in business and professions, to recognise the worthiness of all useful occupations and the dignifying of each Rotarian’s occupation as an opportunity to serve society. The Vocational Service portfolio provides the Club and individual Rotarians the opportunity to be community leaders by pursuing high ethical standards and supporting programs that promote excellence in various vocations. Clubs should encourage members to improve their vocational talents and adhere to the 4-Way Test. Paul Harris wrote: "Each Rotarian is a connecting link between the idealism of Rotary and their trade or profession”. The planning of vocational activities rests with the Club Service Director who should appoint a Vocational Service Chair. To assist in the planning of the Club‘s vocational activities for the year the committee has prepared a calendar detailing vocational activities for each month of the Rotary year. The bulk of the activities are low cost and do not require a great deal of labour or organisation. The members of the District Vocational Committee have copies of calendars, details of programs such as: Pride of Workmanship, and public speaking competitions within the Club and group. Vocational and professional networking visits to: local businesses, water treatment plants, council works depots, libraries, Police and Fire Stations. Also available is information on vocational activities such as workplace mock interviews for students and work experience opportunities for school leavers. 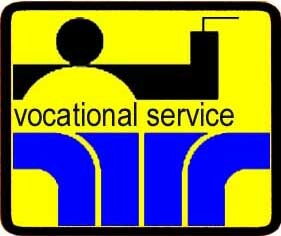 October is Vocational Service Month.